The information contained in this message may be privileged, confidential, and protected from disclosure. If the reader of this message is not the intended recipient, or any employee or agent responsible for delivering this message to the intended recipient, you are hereby notified that any dissemination, distribution, or copying of this communication is strictly prohibited. If you have received this communication in error, please notify us immediately by replying to the message and deleting it from your computer. Decisions, decisions. Friendsourcing at it's finest. This month marks the 5th anniversary of Next Level Development, our daycare located in Whitehall, PA. It's been a great 5 years and we've grown quite a large extended family. From the teachers who make it happen every day to our students who are the entire reason we started this business. We are fortunate to have you all. After doing some homework, my partner identified that about 30% of all our new enrollees happen in August and September and wanting to beef up enrollment, we decided to take our message to the airwaves through a radio advertisement. 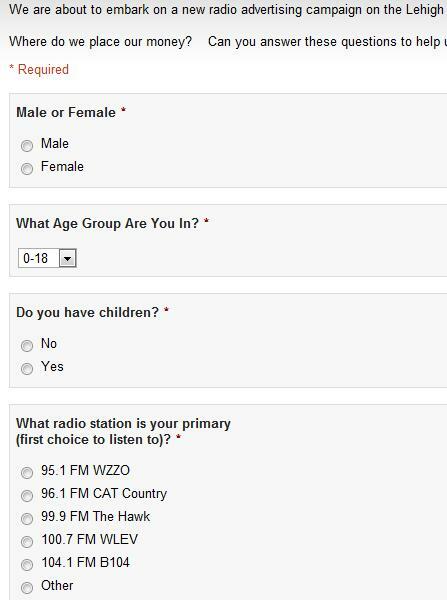 Now, WHAT station is the best for our demographic (females 18-35)? 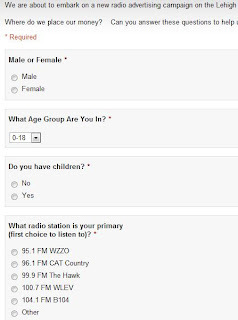 Last time we did a radio campaign we decided on Cat Country based on the information available and it did produce results. Why was this time different? Simple - friendsourcing. What is friendsourcing? Well, when you couple my 200+ friends on Facebook, my 400+ followers on Twitter and also Next Level Development's Fan page, Becky, Anastasia and Ray accessing a similar resource - you've got a window into local people's preferences. So, how did we harness it? Talk about making our decision for us! 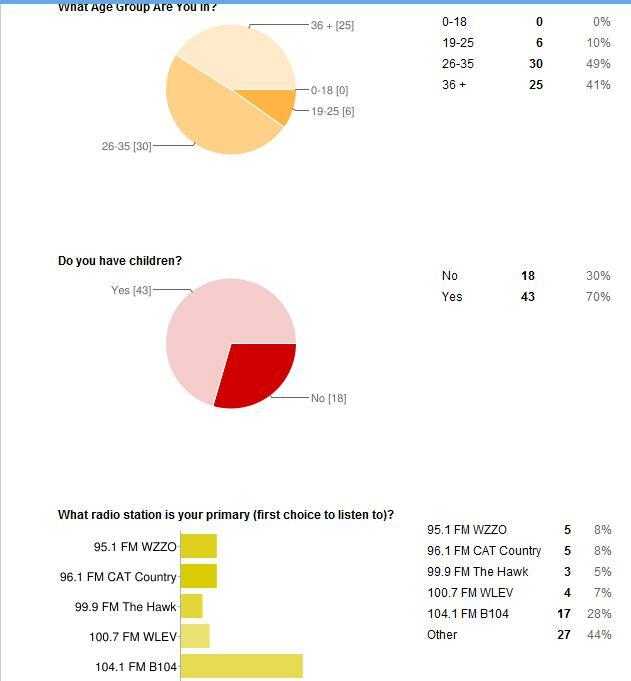 The data was clear with 28% of all respondents selecting B104 as their primary station and 25% as their secondary station. That's a total percentage of 53%. 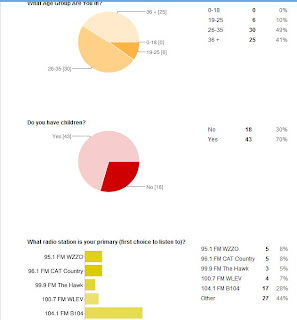 When we drill the data down even more into our target audience, Females with Children: 43% selected B104 as their primary station and 20% as their secondary station, or B104 as 63% of our target audience. 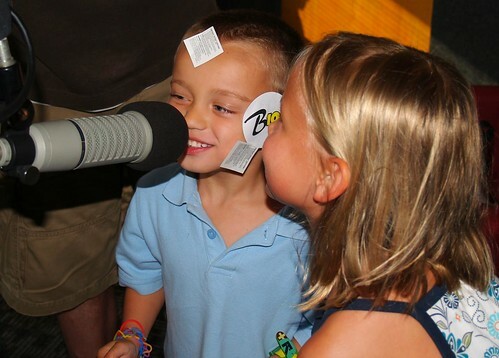 The only option that was better than B104 was "Other". 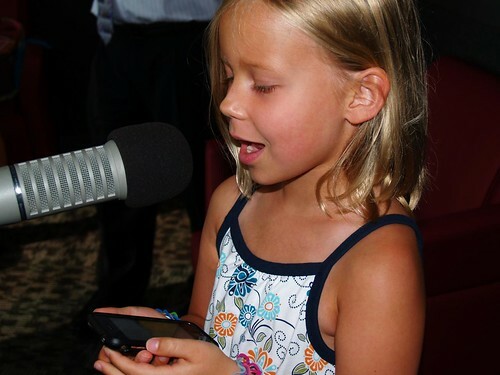 Other ranged from satellite radio listeners to "radio? we don't need no stinkin' radio." And click here to listen to the actual Ad.